A beautiful sunny Sunday today, with the promise of Spring in the air and carpets of crocuses out. Time to get the bikes oiled and tires pumped and head out into Brandenburg. 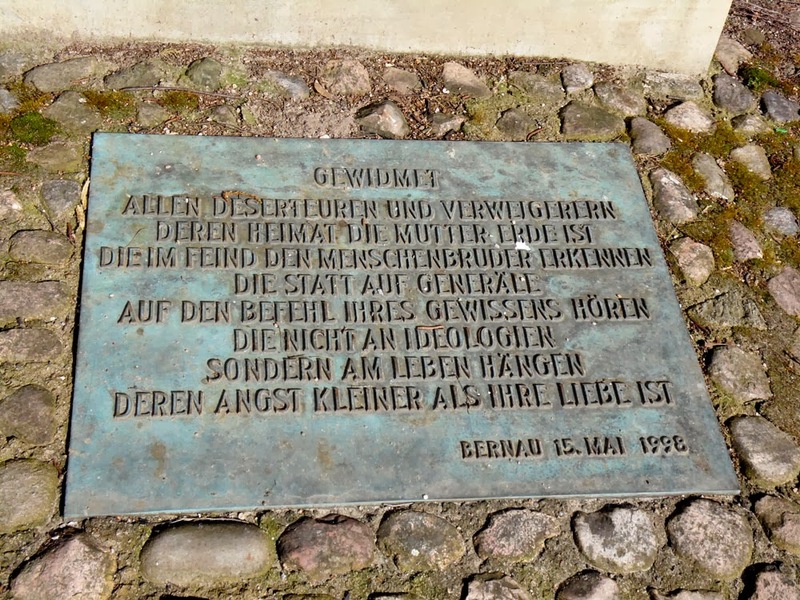 We cycled to Bernau, where I was struck by the poignancy of a memorial to all conscientious objectors, which had been erected next to the reconstructed town walls. whose fear is less than their love". 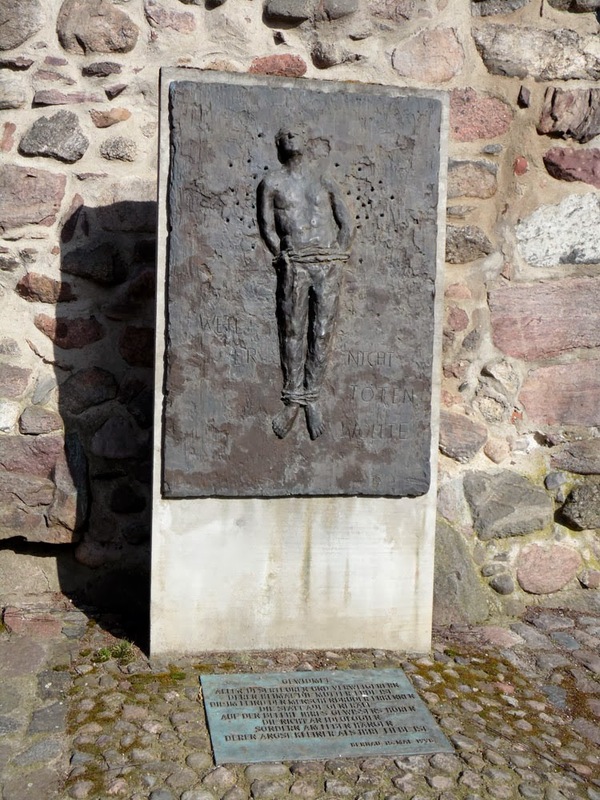 It is unusual anywhere I think, not least in Germany, to see a memorial to those who died for their conscience rather than kill a fellow human at the command of the military. 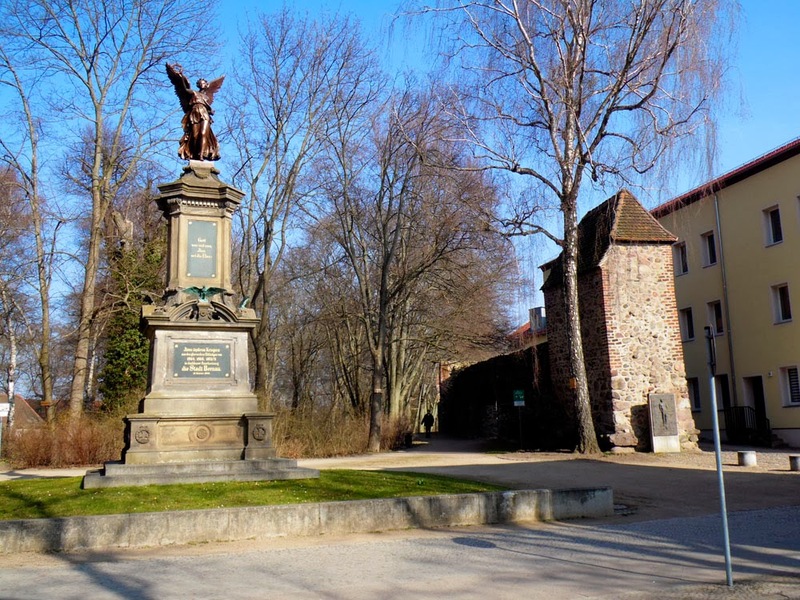 Its positioning beside a rather pompous and overblown Wilhelmine war memorial provides an ironic contrast.